The exit meeting with a member who has decided to leave the Chama is your opportunity to gather information about what your Chama is doing well and, what your Chama needs to do to improve things. As a Chama leader, do not underestimate the value of an exit meeting. Exit meetings can be goldmines of information if you know how to conduct them. Each one is an opportunity to get honest feedback from someone who has been part of your Chama. These are meetings are key to your Chama’s improvement since rarely will you receive such frank feedback from current members. You’ll find that some things you could have changed with prior knowledge but others are not; such as the desire to invest in something completely different from your Chama’s vision. For example if your Chama members are not welcomed properly on joining, you can change that with prior information however if your Chama is about real estate investment and someone thinks transport is a better idea, then you cannot change that. Unfortunately, if you are learning improvement ideas or member concerns at the exit meeting, it is too late to take action to improve or help the leaving member. The best time for a member to discuss concerns, dissatisfactions and suggestions with the Chama leader is while she is a committed Chama member, not on her way out the door. Make sure you find an opportunity to gather and learn from member feedback regularly. Exit meetings are one-on-one meetings commonly performed in person with the departing member. 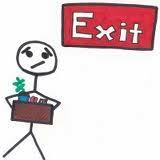 For an exit meeting to be effective, you have to remain interested, non-judgmental and welcoming. At the end of the day you will want to get information you would not have gotten otherwise, and you have to convey your appreciation, from simply saying thank you to giving the member your full attention. Remember to let the member do most of the talking. Practice active listening, seeking clarification on each point shared. Avoid defending the Chama or arguing. Doing so annoys the member. Maintain eye contact without appearing aggressive. Avoid asking the questions from a list and looking at the paper. Remain friendly. The exit interview questions you ask are key to gathering information. Start your exit meeting with a light discussion to help your departing member feel comfortable answering your questions. Explain that you will use the information provided during the exit meeting, to help your Chama improve and retain valued members. Here are some questions you can ask. What attracted you to this Chama in the first place? Why have you decided to leave the Chama? Was a single event responsible for your decision to leave? What did you dislike about the Chama? What would you recommend to help us create a better Chama? Can you offer any other comments that will enable us to understand why you are leaving, how we can improve, and what we can do to become a better Chama?